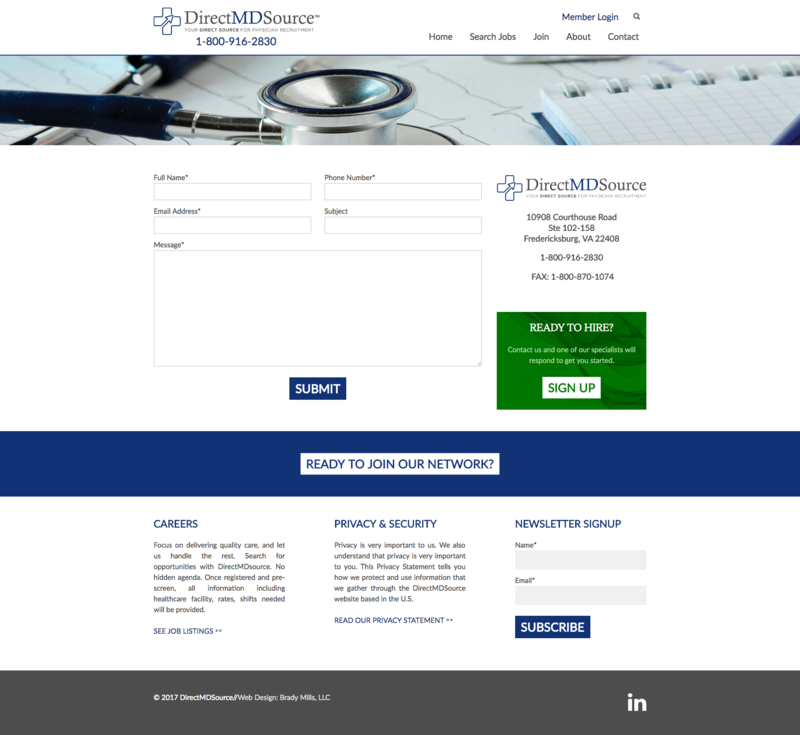 DirectMDsource was founded by board certified physicians and provides an innovative strategic online staffing solution for per diem, short-term, long-term and permanent healthcare assignments across the nation. 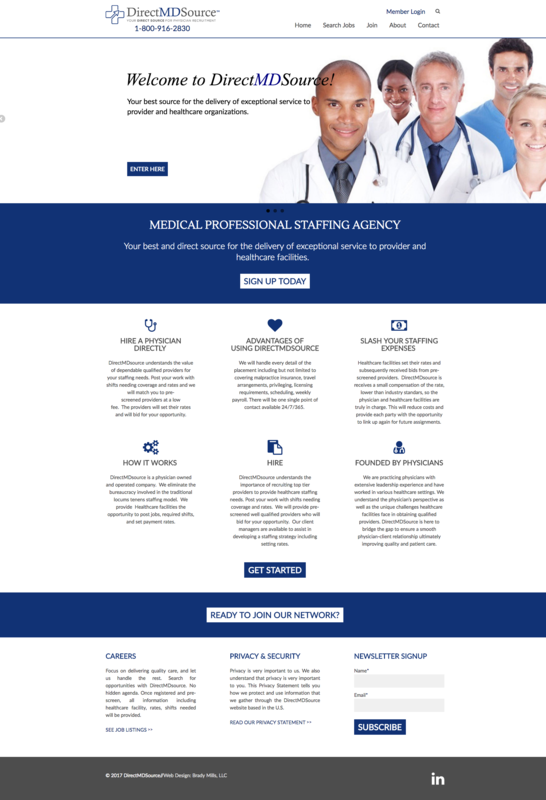 A clean homepage highlights the key elements that make this service stand out. 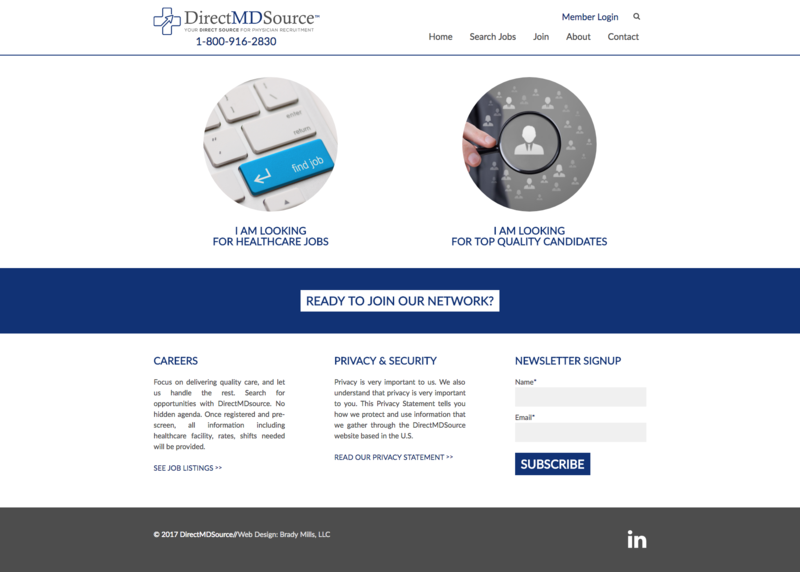 DirectMDSource serves both employees looking for jobs and physicians and hospitals with staffing needs. This page helps direct the two customer segments to the appropriate next action. The contact page prominently features additional calls-to-action for users to sign up, and provides a contact form and location details.